Fishers Fire Dept. 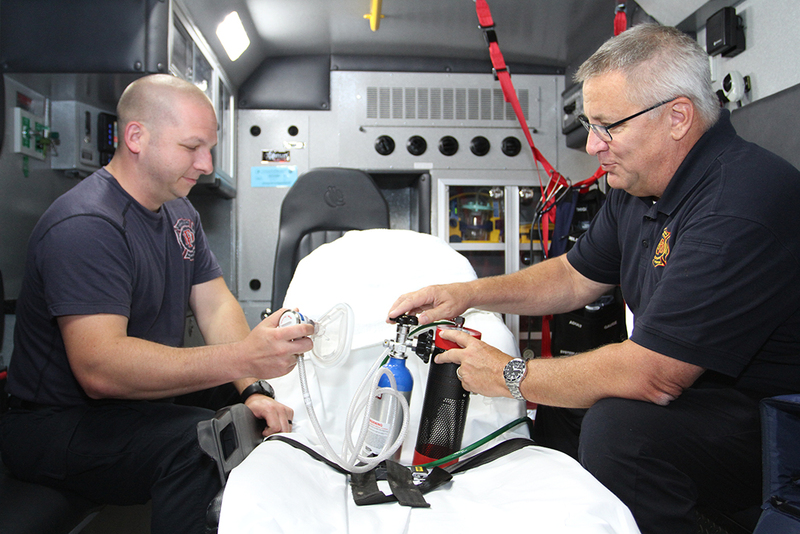 has added another method of pain management to its three ambulances. Nitrous oxide, commonly known as “laughing gas,” will be a non-addictive option for patients suffering from less severe medical issues. FFD EMS Chief Steve Davison said the addition is to reduce opioid use when possible. Nitrous oxide is not a new treatment but is seeing a resurgence in an effort to stem the opioid crisis. 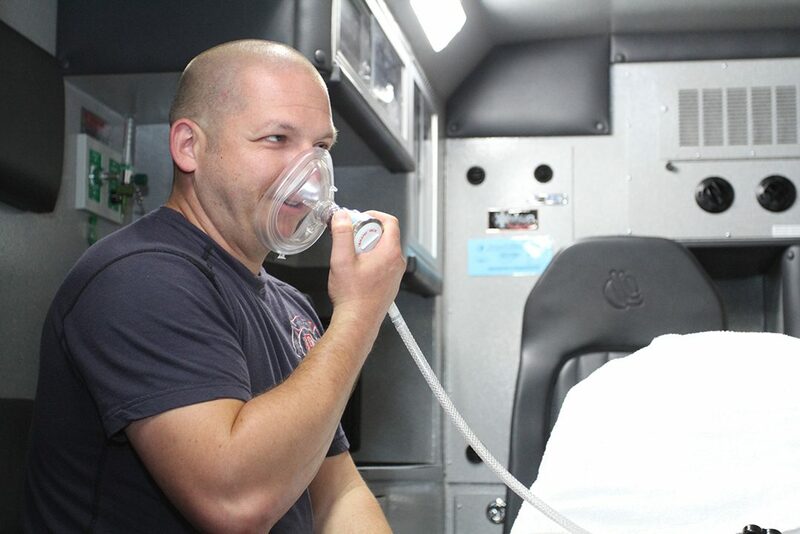 Nitrous oxide was added to Fishers ambulances. One reason nitrous oxide became a less popular pain treatment is because it’s more difficult and expensive to administer than a pill or intravenous medication. Davison said nitrous oxide treatment requres more equipment to administer. The type used by FFD is a different mix than the type typically used by dentists. Patients self-administer the medication by breathing into a mask. Nitrous oxide works on approximately 90 percent of people who take it. Davison said nitrous oxide is commonly used to manage pain from kidney stones to fractures to dislocations. Within a week of adding nitrous oxide to its ambulances, FFD received a call of an orthopedic injury caused by a trampoline. Staff helped administer the nitrous oxide, and the patient didn’t require stronger pain medication en route to the hospital. Prior to the addition of nitrous oxide, Davison said the patient would’ve immediately received fentanyl to control pain. With regard to addiction, Dr. Mike Kaufmann, FFD medical director and the EMS director for the state of Indiana, said fentanyl was used to replace morphine because it is a safer alternative. A benefit to administering nitrous oxide instead of fentanyl for pain managemen is that nitrous oxide wears off in 3 to 5 minutes.